Download Vacation Time BOM Materials List and Block Two Pattern! 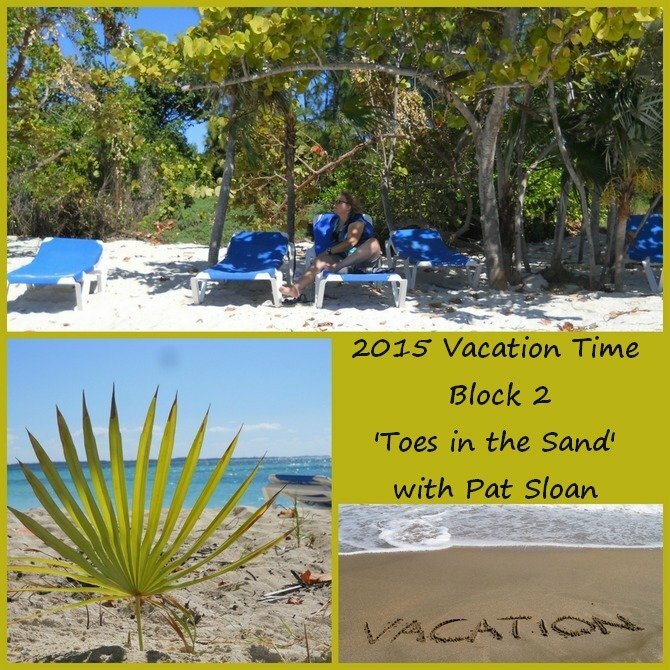 Click Here to download the PDF of the pattern for Block Two: Toes in the Sand. Our second block of Vacation Time is 'Toes in the Sand'. You will soon realize, that vacations mean ocean, sand and water to me. I drew up a few blocks from the Atlantic Ocean. All summer long we walked to the beach and that has stuck with me. When I want to relax and unwind, I want to do it with the sound of the ocean and some sand nearby. 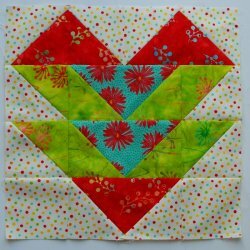 Do you know why this is a great February block? It looks like a heart! 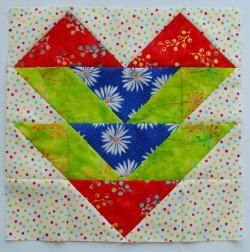 Make several of them for a wall hanging, table runner or a full quilt! • Option 1- Flying Geese method. • Or Option 2- HST method. • And I'm making the quilt in TWO colorways so you can see how a simple change of ONE fabric color makes a difference in the final quilt. Also, visit my post about Block 2 where I give you a little insider look by clicking here.